WE ARE WELCOME FOR BIDS TO HOST THE NATIONAL FINALS. IF YOU ARE INTERESTED, KINDLY CONTACT US AT philippine_futsal@yahoo.com. only the 8 provincial champions qualify for the National Finals. 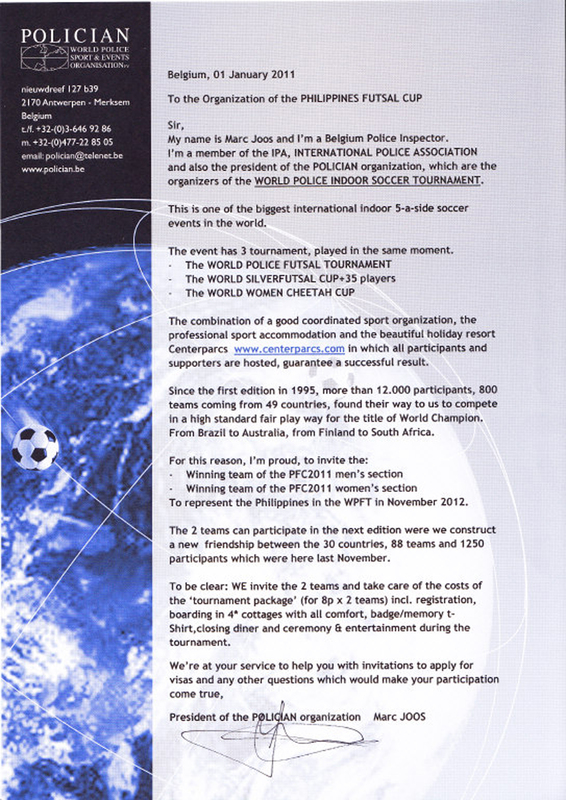 THE PHILIPPINES IN AN INTERNATIONAL TOURNAMENT IN BELGIUM. Philippine Futsal Cup Winners Cup. I shall also send you later 2 ‘vouchers’ which also state the prize. I hope you appreciate this deal. Should you have more questions, please feel free to contact us .